Eleven years on from being named the European capital of culture, this wonderful city has come on in leaps and bounds. There are endless things to get up to in Liverpool in 2019, so we thought it best to put together a helpful and handy guide to make sure you’re getting the best out of Merseyside. 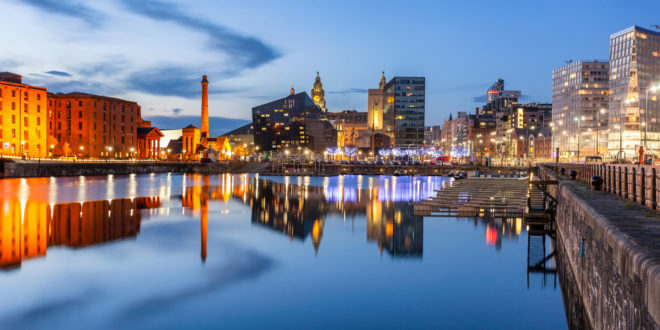 We’ve gathered together the best things to do in Liverpool in 2019, including some of the best places to eat and drink, interesting sights to see and fun activities to get involved in. Here is your carefully curated essential Liverpool bucket list! What’s so good about Halloumi fries? Extreme cheesy meltiness. Crispy, crispy coating – and full on fabulous flavour in every bite. 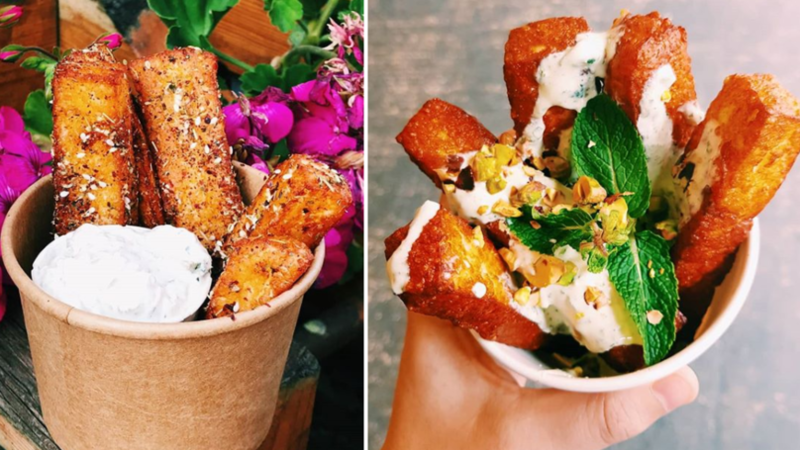 Hafla Hafla at The Baltic Market has revolutionised the humble halloumi fry with their wide selection of toppings, dressings and dips all so you can be sure your halloumi fry experience is nothing short of magnificent. If you’re not headed into town, then stop by Hafla Hafla’s new restaurant on Lark Lane. You won’t be disappointed! Search high and low all over Liverpool for the well known and obscure Beatles landmarks. 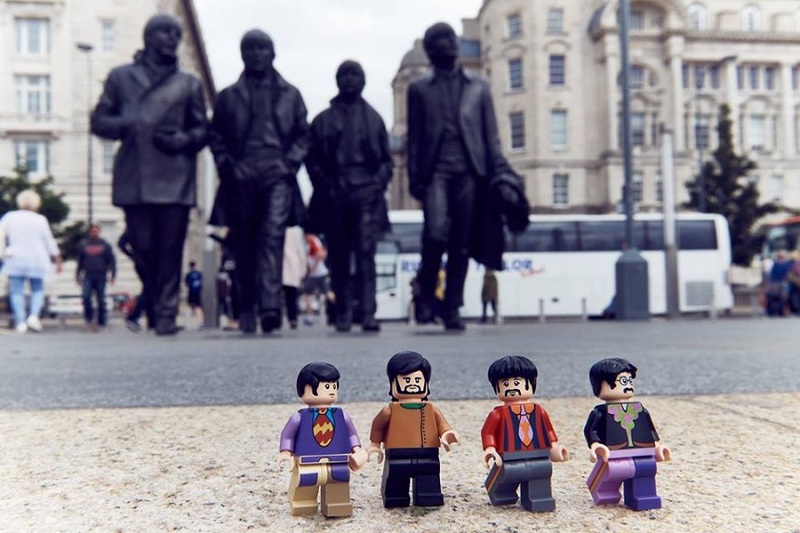 A Beatles tour of Liverpool will treat you to an immersive experience exploring the origins of the worlds most famous boy band, from childhood homes of the Fab four to their schools and favourite drinking hangouts. Japanese in creation, the first Lambanana was made to symbolise the dangers of genetic modification. Later when local Liverpool artists adopted the design, connections were made to Liverpool’s maritime past as popular cargo brought through the cities ports was made up mostly of sheep and bananas. 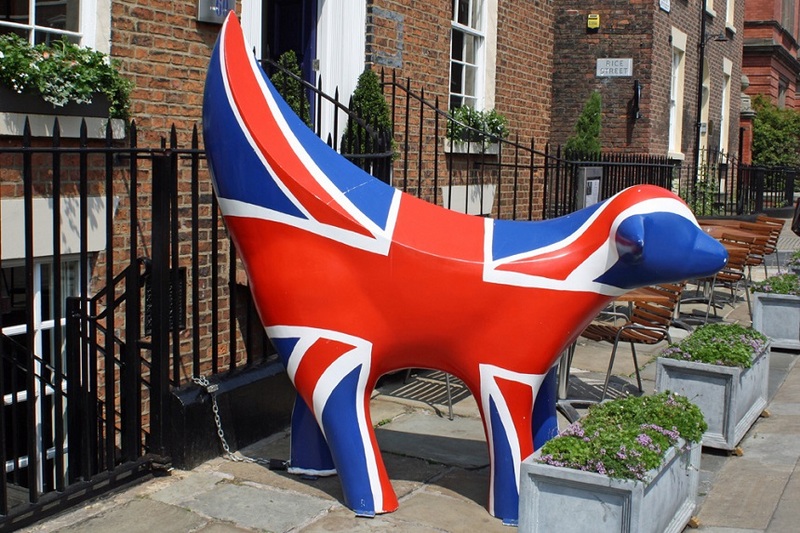 Ten years ago, for Capital of Culture, 125 individual Lambananas were made and dotted around the city each sponsored by local businesses and designed by community members. See how many you can find during your time here! Once a year for the past five years running, Smithdown Road has been a hotly anticipated event on the calendars of Liverpool residents and visitors alike. Smithdown Road is a part of Liverpool which has been undergoing a major resurgence thanks to a variety of independent businesses and heavy student population. 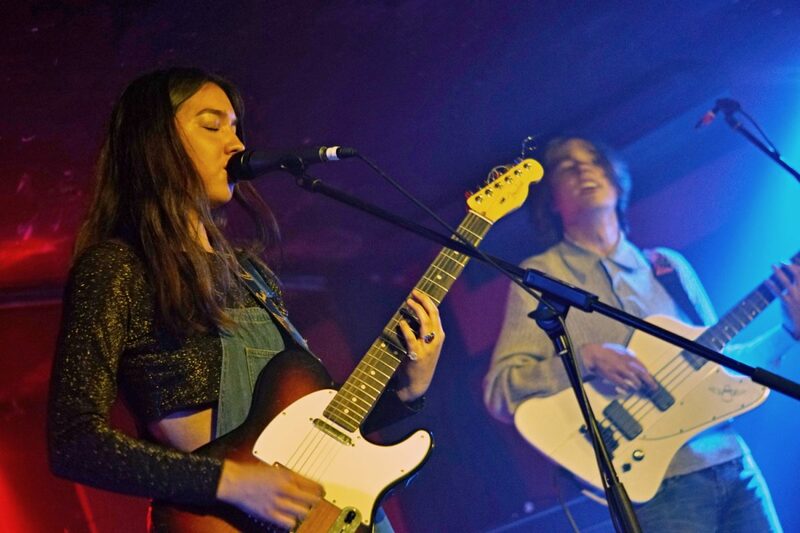 This year, Smithdown Road Festival promises to be bigger and better than ever and is one of the top things to do in Liverpool during 2019. 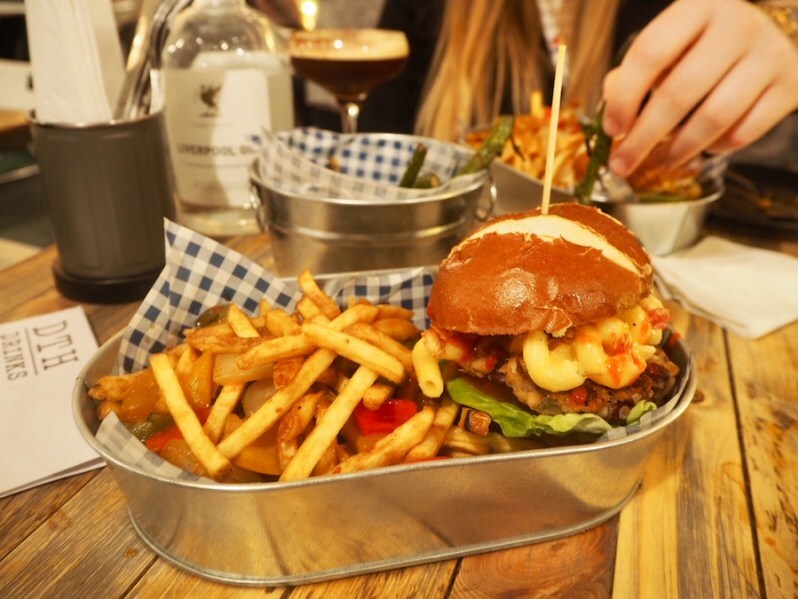 If you’re considering a diet change in 2019, Liverpool is full to the brim of delicious reasons to consider going vegan or reducing your meat and dairy intake. There’s a huge selection of vegan-friendly restaurants with mouthwatering dishes that could turn the meatiest of meat eaters vegan. One to note is Down The Hatch, an incredible place which offers an entire menu filled with tasty vegan junk food. Give it a go with our guide to the best vegan dishes in Liverpool or our list of the best restaurants for vegans and veggies in Liverpool. As far as sports go you may rank golf on the same par as cricket, however when you add some graffiti, neon lights, beer and street food – you have the increasingly popular and bonkers Ghetto Golf. One of the best things to do in Liverpool to keep active in 2019 whilst also having a blast, a burger and beer with mates. Britain’s most popular current TV series has brought with it a resurgence of some fabulous things, in main the welcome resurrection of the flat cap as a key fashion accessory for guys. 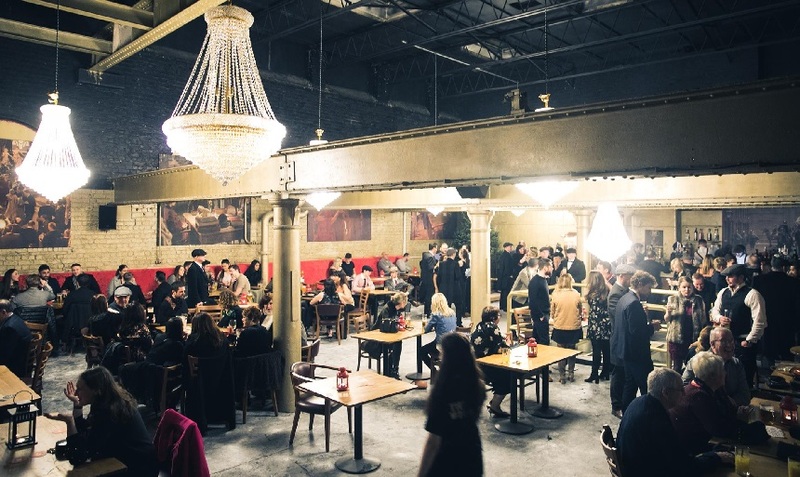 A Liverpool bar has embraced this welcome the renaissance of postwar gang life in the UK and used Peaky Blinders to inspire a stripped back yet super trendy drinking establishment. Why not take a peak during your visit? Now we’re not exaggerating when we say this is possibly the best pizza ever. Freshly baked dough, perfectly seasoned marinara sauce and gorgeous gooey cheese are just the start of how good these traditional Neapolitan style pizzas are. Independent pizzeria Rudy’s is based on Castle Street and offers a refreshingly simple and traditional menu that packs a punch. They follow the traditions and artistry of pizza from Naples – the actual birthplace of pizza itself. They don’t take bookings so just stroll on in and you’ll see exactly why we’re so excited about this place. In 2017 the British Style Collective moved from its long-standing home of Birmingham to premiere in Liverpool. 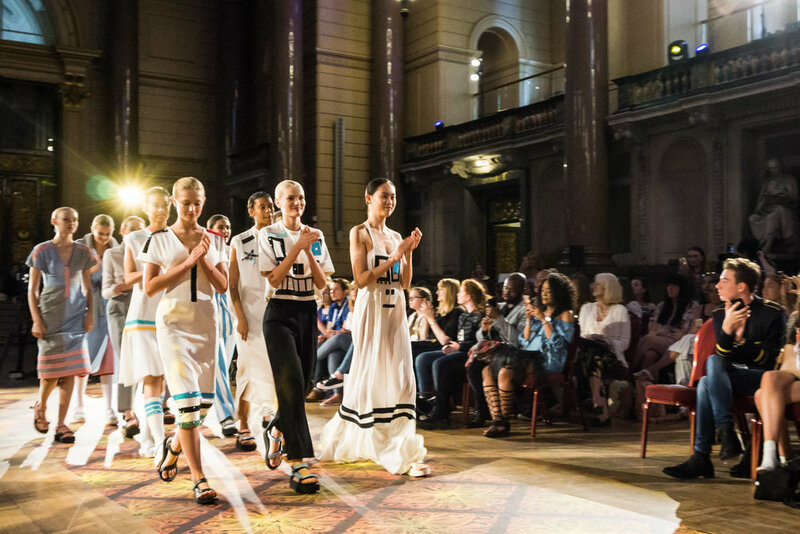 A series of seriously fashionable events took place in major venues across the city including fashion shows, workshops and shopping events. Make sure to book your tickets to one of the most fashionable things to do in Liverpool during 2019. 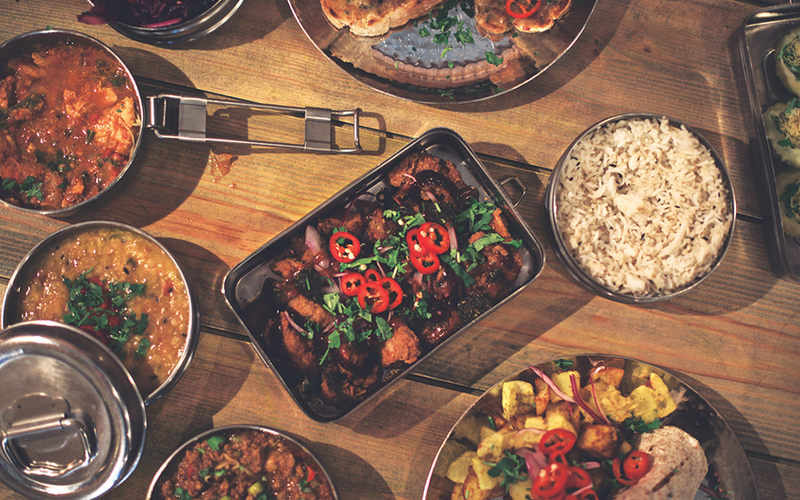 Fresh Indian home cooking is what is at the heart of this incredible street food restaurant. Mowgli originated right here in Liverpool and can be found on Bold Street and Water Street, and is the answer to all of your spicy, tasty and pretty-much-mind-blowing culinary needs. As soon as you walk through the door, you’re hit with a beautiful sensory mixture of delicious spices, amazing interiors and a warm, casual atmosphere. Don’t forget to head over to Mowgli when you’re next in the city. If you have something special to celebrate in 2019, there’s no better place to do so than Morgan’s Vault. Throw the ultimate Liverpool pool party inside one of the cities most stunning hotels, 30 James Street. 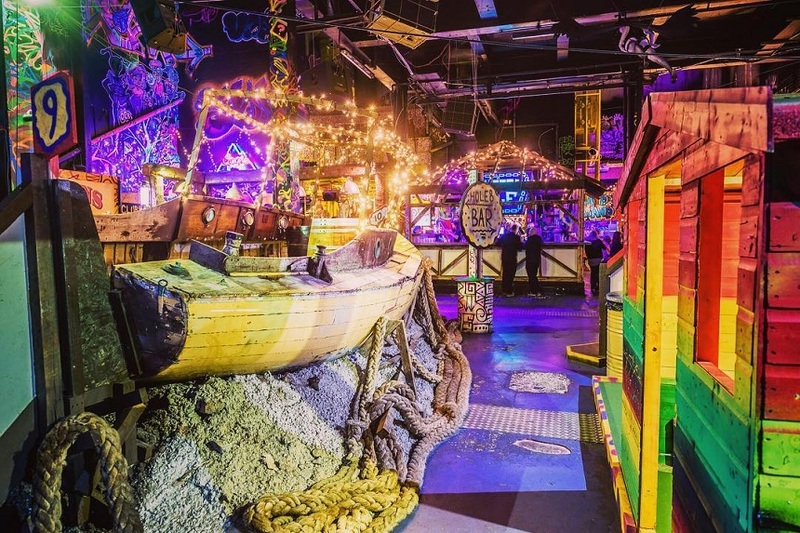 Up to 60 guests can enjoy an amazing pool party in the most unique subterranean party venue in Liverpool, complete with a private bar, a 40-foot pool and accommodation for the night. One of the best things to do in Liverpool every year is attending the Grand National at Aintree Racecourse. Even better, when it’s ladies day and you’re looking fabulous – you could actually win a car and a variety of other goodies if you’re selected among the best dressed of the day! Liverpool’s famed nightlife is one of the major attractions that many people come to the city to experience. With such a wide range of bars and clubs to choose from, it can be hard to decide where to go! There are clearly established areas to visit within the city and our favourite bars are nestled in what is known as the Ropewalks. A night out here is a must for those coming to the city for a short city break so check out our guide for spending a night out in the Ropewalks. 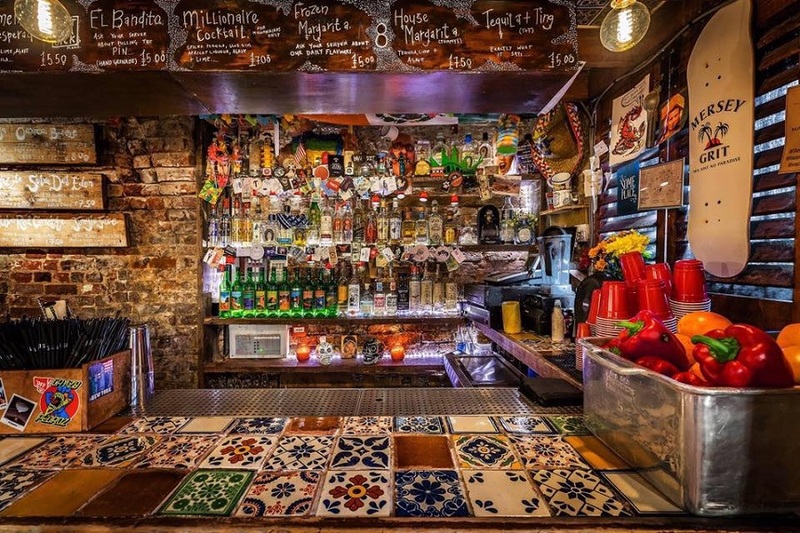 Alma de Cuba has always been among the top choice of Liverpool bars to visit and now with the new Voodoo night, everything from dancers to fire breathing guarantees audiences an exciting nightlife experience of Liverpool each and every time. Ah, burgers. The staple meal of any great weekend in Liverpool and so much choice. 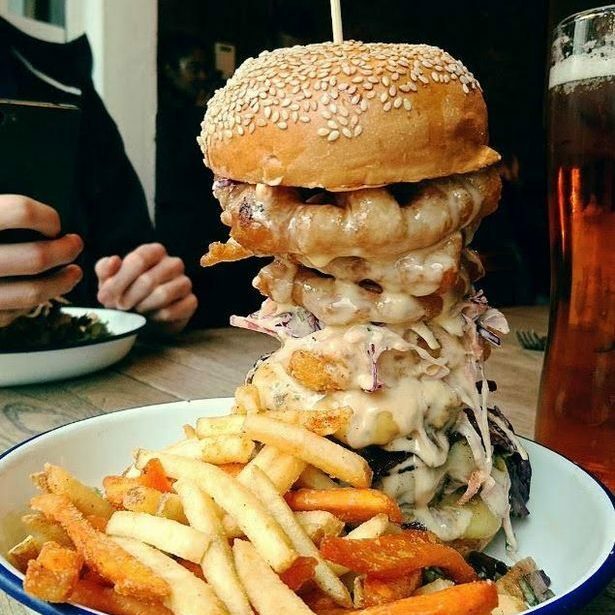 If you are looking for the largest and think you’re hard enough, show this city what you’re made of and take on the Big Boy at Nolita Cantina. Get stuck in – and let us know how you get on. Not to be confused with the Liverpool theatre, this Everyman is a cinema with a difference. It’s based in the Met Quarter and provides a really special experience for any cinema-goer. There’s plush seating, handy tables for snacks or drinks and even a restaurant to grab a bite before or after the film. Enjoy! 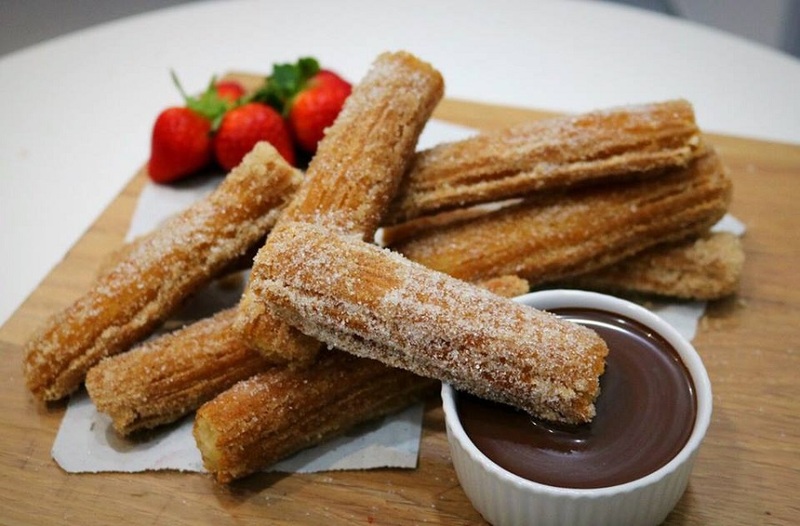 We know where the best cocktails in Liverpool are and where to find the best desserts in the city, but did you know there’s a place where you can get both? At the same time? Try a Yogtail at Baltic Market! 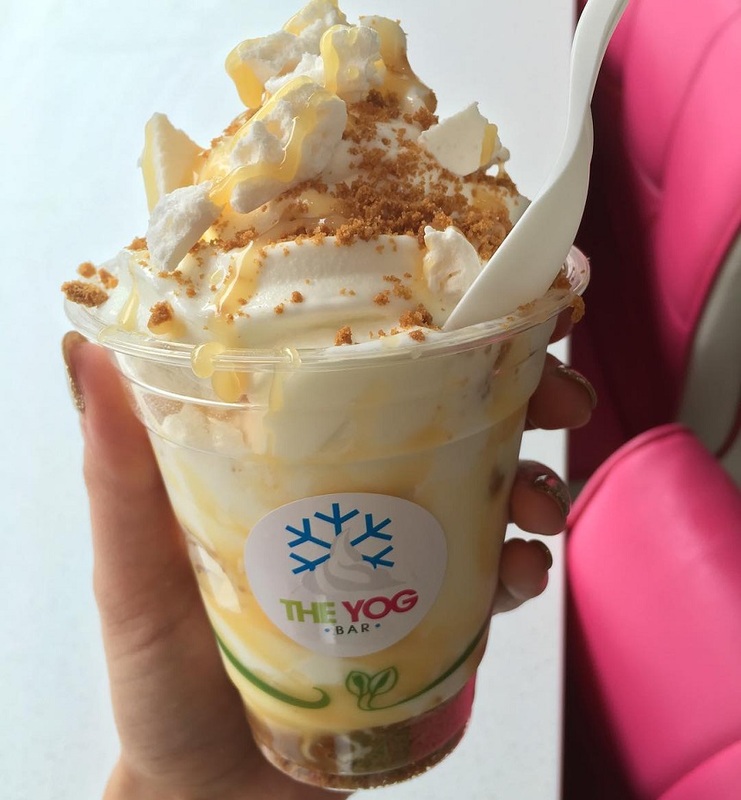 Catering to the healthy, naughty, vegan or dairy free alike, this spot has a delightful range of fat-free yoghurts and flavoursome topping combinations. As well as being the high street and designer shopping capital of the UK, Liverpool also has a treasure trove of vintage emporiums. 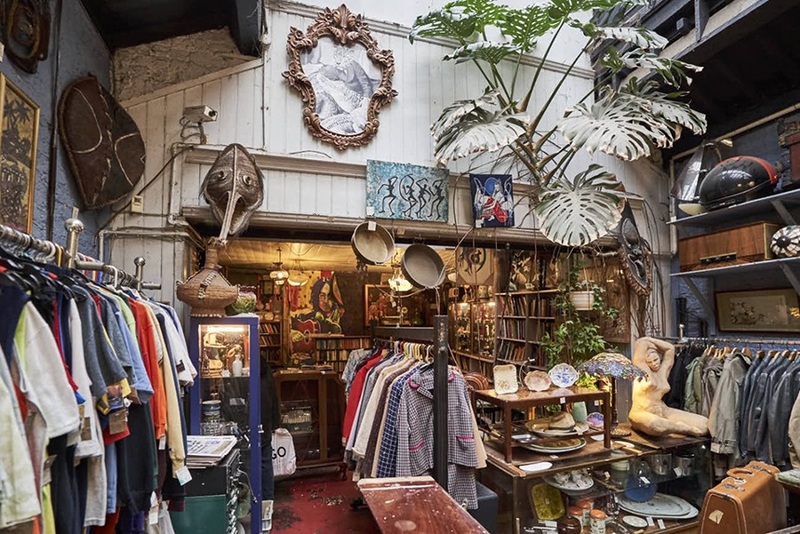 Take time to trawl through endless rails of fabulous fashion and amazing antiques and see what wonders you can unearth whilst vintage shopping in Liverpool. Pasta lover? 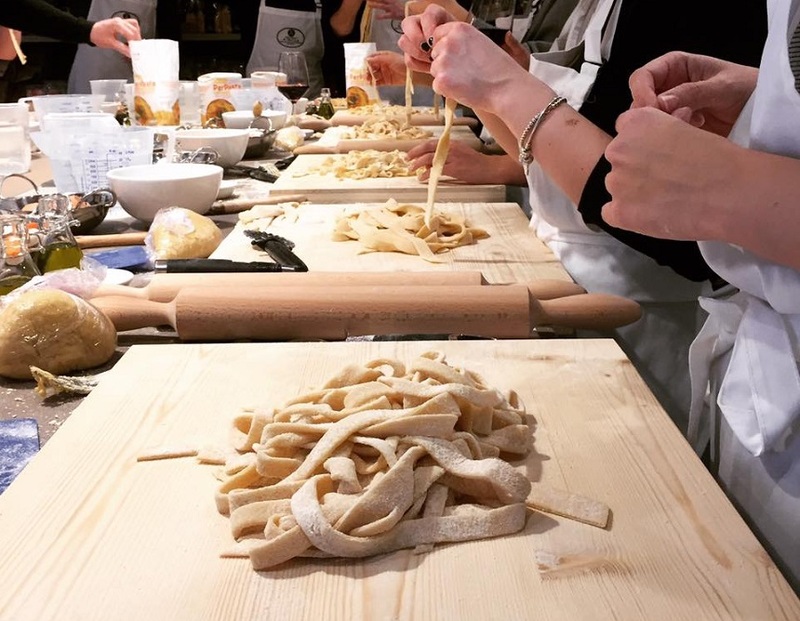 Instead of simply slurping up spaghetti in one of Liverpool’s best Italian restaurants, why not could learn to make it yourself in a masterclass at A Tavola Deli? 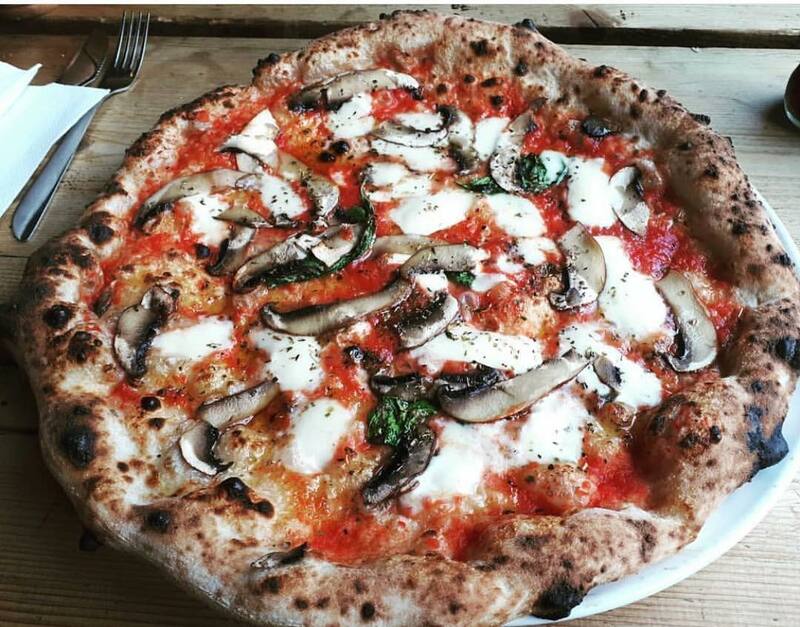 The best things to do in Liverpool often involve food and when you’ve got great Italian food paired with wine and good company, you’ve hit the nail on the head. Just save us some won’t you? Test your knowledge in Liverpool on everything from vintage movies to retro sitcoms in one of the numerous pub quizzes that regularly take place in some of our favourite evening establishments. Our guide to the best pub quizzes in Liverpool should help you find your way to one or two of the top venues with the best prizes and favoured topics or subjects. A trip to the cinema is always fun, but what about those older movies you might have missed in the cinema and the classics you were just too young to see when they were first released? Throughout the year, Liverpool becomes one big movie screening city with cinema screens popping up on rooftops, beer gardens and even in parks. 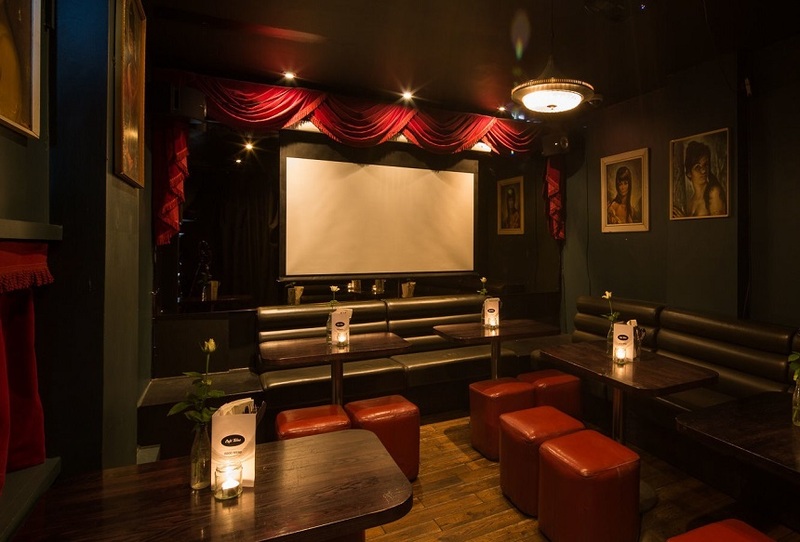 Check out our guide to hidden cinema venues in Liverpool and watch a favourite oldie in style during your visit. 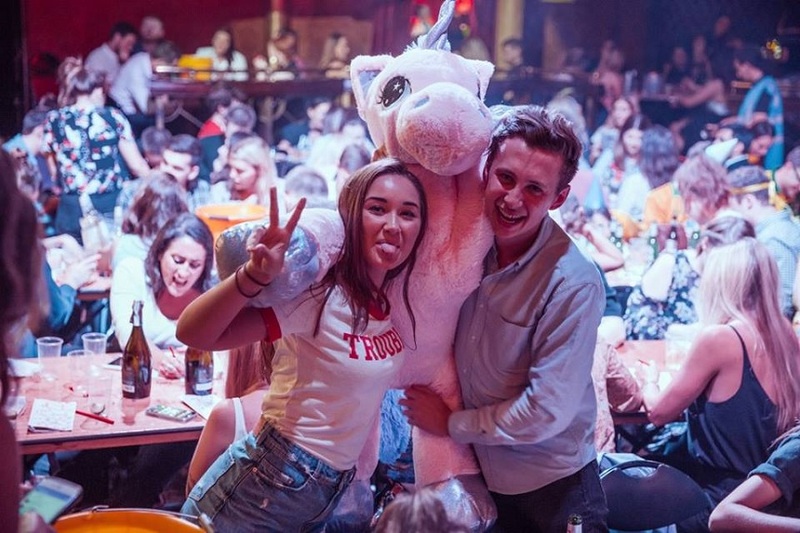 There was a time when Bingo was reserved for Nans all over the world, but here in Liverpool, the pastime has become popular with a much younger crowd thanks to Johnny Bongo and his amazing Bongo’s Bingo nights. We must warn you, though, this definitely isn’t the traditional game as you know it! Starting out as a weekly event hosted on Thursdays in Camp and Furnace, this gaming phenomenon quickly swept across Liverpool – and then the nation. Before we knew it, Bongo’s was sought after in far-off lands. It’s even made its way over to Ibiza! During 2019 in Liverpool you should join a game of Bongos Bingo – but you’ll have to plan ahead and be quick to get your tickets, this event sells out fast! Just because you’re visiting a major UK city doesn’t mean you can’t get back to nature whilst you’re here. Liverpool’s home to a collection of the UK’s most well preserved Victorian parks; reminders of the city’s past where parks catered to the wealthy shipping merchants and residents of the time. 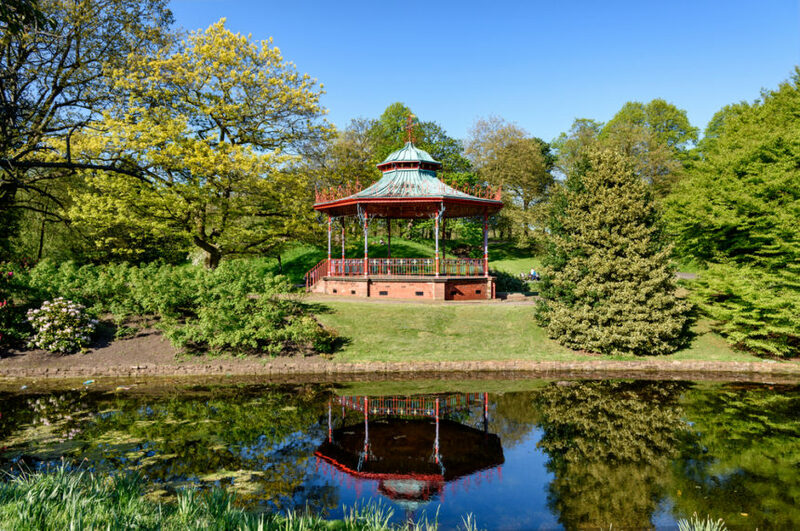 Sefton Park is a stunning example of the city’s most beautiful outdoor spaces. We recommend a walk in the park during Spring. It’s one of the nicest things to do in Liverpool! When it comes to high-quality food, you cannot beat Carpathia. Set atop the 30 James St hotel – the home of the RMS Titanic – this rooftop restaurant is surrounded by amazing interiors as well as rich heritage and history. There’s an incredible view of the city and the Mersey to be seen from the terrace, too! They create seasonal dishes that are simple yet delicious. Each and every dish on their menu is stunningly presented, and the food really does taste as good as it looks! It’s actually named after the RMS Carpathia; the ship that rescued the 705 survivors from the Titanic’s lifeboats. This year, the restaurant is also undergoing a luxury renovation to include a bran-new outdoor terrace extension. Boasting outstanding views of the Liver Building, this is sure to be a hit with locals and tourists. 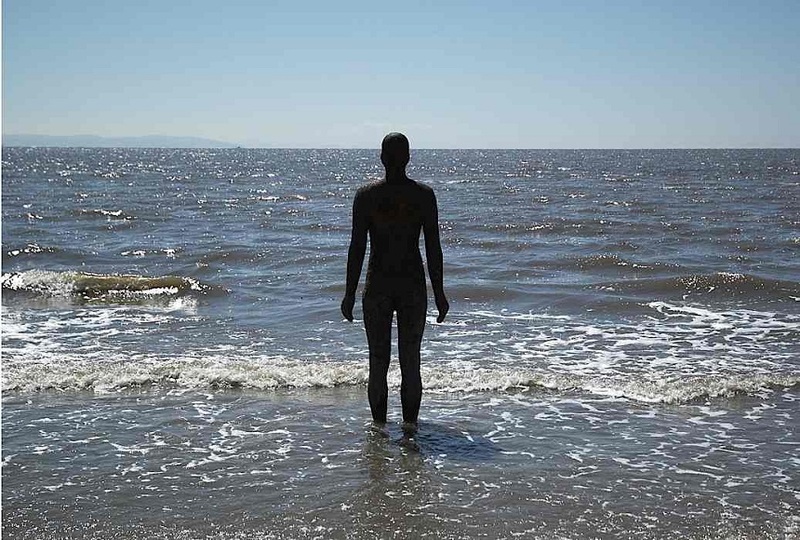 Get your bucket and spade and head to Crosby Beach to shake hands with Antony Gormley’s cast iron creations. …Not so great for playing fetch as this poor doggy discovered! 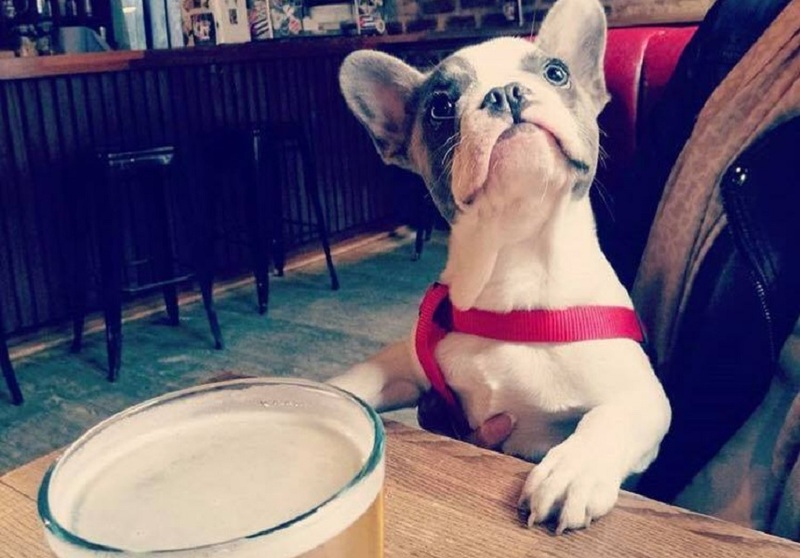 Our furry little friends are a huge part of our everyday lives, often joining owners on days out in the city and even popping in for a quick pint at one of the many dog-friendly venues in Liverpool. Salt Dog Slims, Baltic Market, Dead Crafty Beer Co. all welcome customers of the four-legged variety and this is just to name a few. So, when your out enjoying all these amazing things to do in Liverpool, don’t leave your doggy at home, bring them along for the ride! When the weather starts to warm up, Liverpool’s best beer gardens are the only places to soak up the summer and a refreshing drink or two. 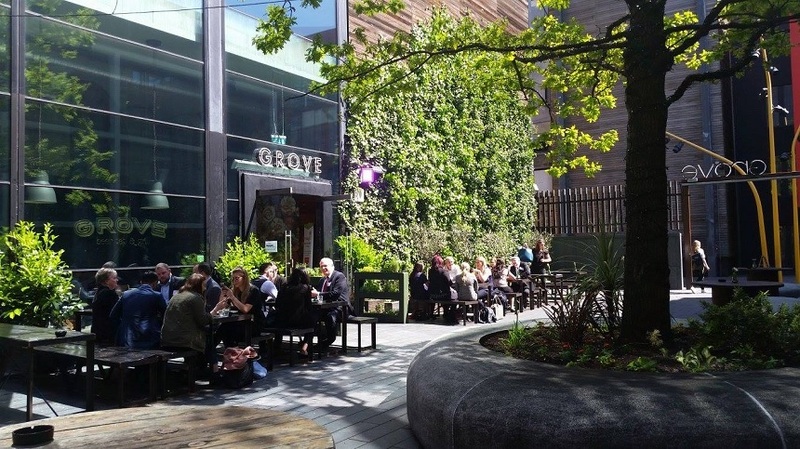 Our guide to the best beer gardens in Liverpool is ideal for finding hidden outdoor havens where you can while the day away, drinks in hand with great company. 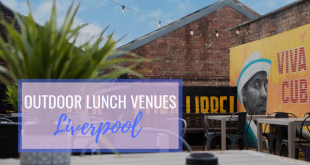 It’s a well-known fact that Liverpool’s nightlife is second to none and if you know where to look, you could stumble across the city’s best-kept secrets. Speakeasy Berry and Rye is indiscernible to the passerby and, once admitted, patrons will find themselves enveloped in a clandestine venue with a list of exceptional drinks to choose from. Or, for those who prefer something exotic, Some Place specialises in that mysterious green liquid; Absinthe. It’s discreetly located in the Ropewalks region and once you find it, you’ll be glad you did. Famous for introducing Liverpool to the ‘Freak-Shake’, Barley and Beans have garnered quite a following among the sweet-toothed diner of Liverpool. 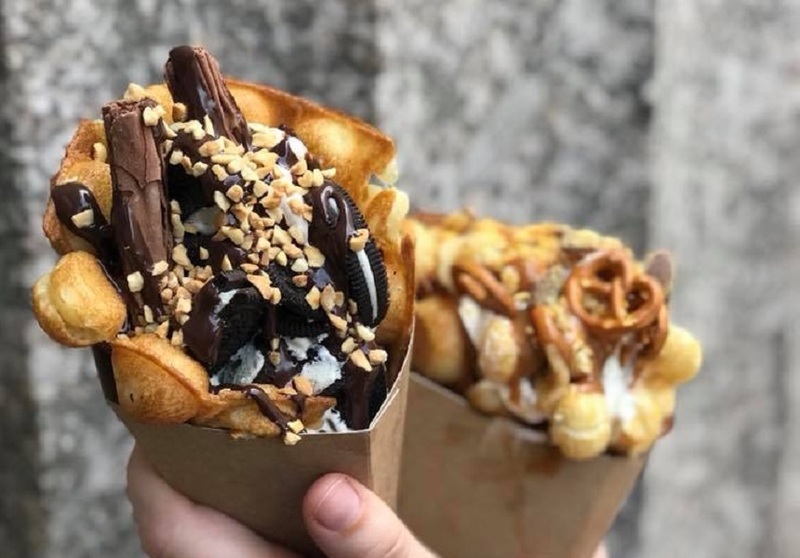 They’ve created a worthy challenger of the ‘Freak-Shake’ – the Barley and Beans Bubble Waffle, a handheld dessert packed with all sorts of sticky goodness sure to satisfy the sugary cravings of any dessert lover. Just outside the city adjacent to the stunning Sefton Park is a small bohemian paradise. 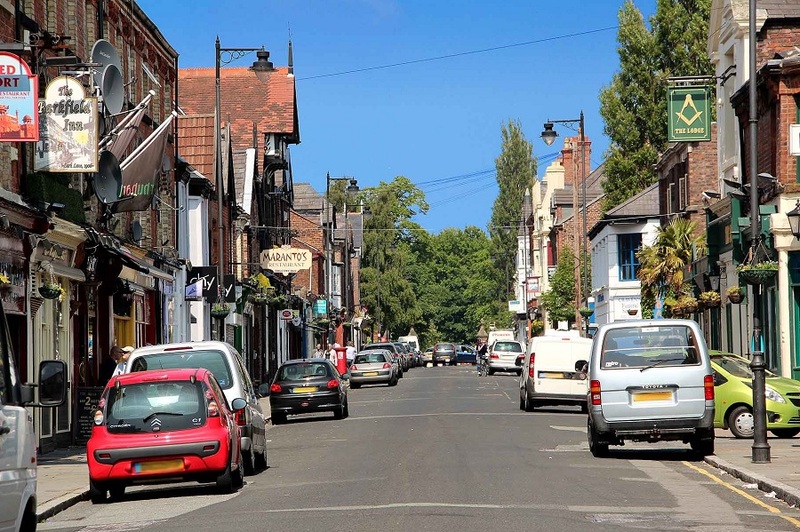 Antique shops, vintage emporiums, restaurants and cocktail bars line Lark Lane from top to bottom. Enjoy food from around the world. 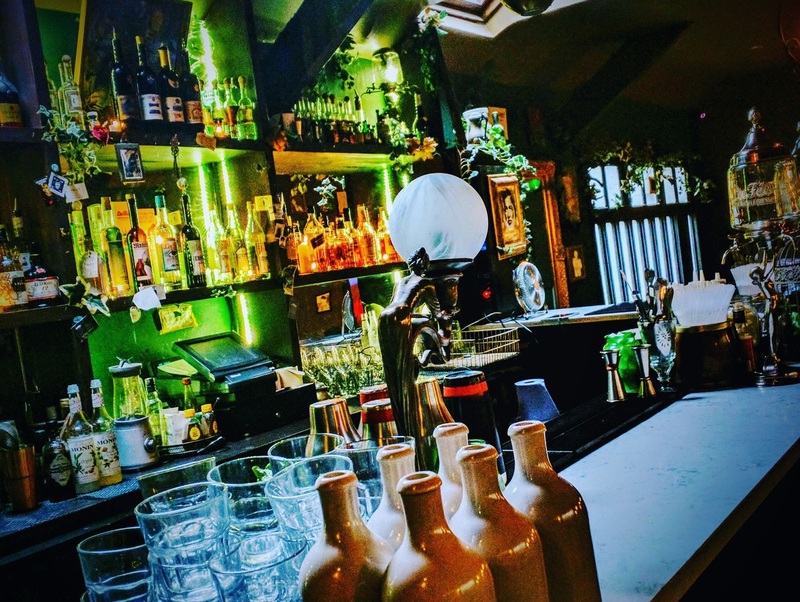 Try Middle Eastern delicacies at Medjool, or pop in for a drink in the deceptively trendy Keith’s Bar – a notorious haunt which is popular with the locals and a landmark among Liverpool drinking establishments. Basically, we say just start at the top and work your way down to see a different side of Liverpool. In late 2018, Signature Living revealed some more of their amazing themed hotel rooms and suites. 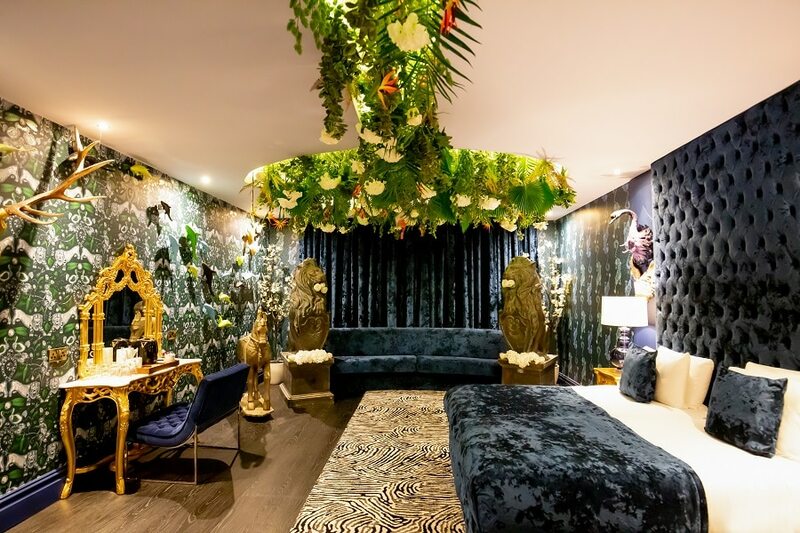 Inspired by the deepest, darkest depths of the jungle, these rooms have to be seen to be believed! As always, the rooms are full of little hidden surprises to make your stay even more memorable. With every twist and turn, there’s a feast for the eyes – and great Instagram material – to be found. Head here for more info. 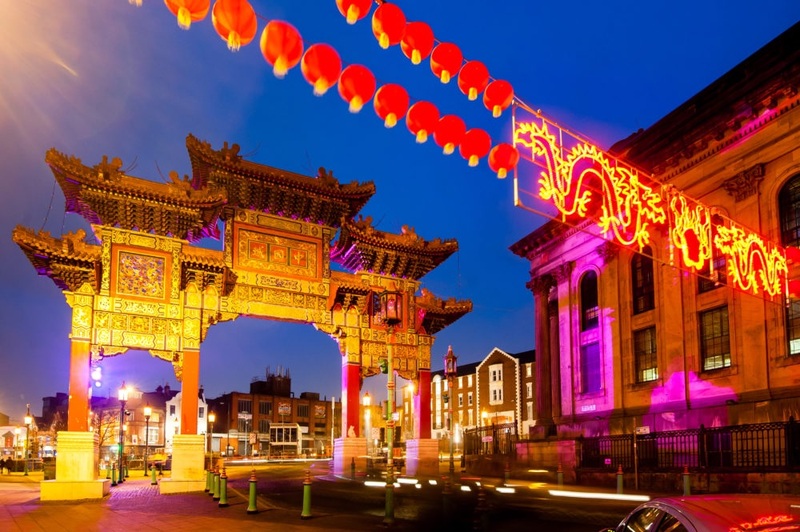 Liverpool is a city proud of its wide and varied multicultural heritage, so when visiting Liverpool in 2019 why not explore one of its oldest communities – China Town. First established in Europe in 1834, Liverpool’s China Town is a close-knit community that enables Chinese residents to uphold important traditions and cultural values. Experience delicious food, fabulous artwork and interesting history, all of which makes China Town one of the amazing things to do in Liverpool during 2019. One of the most important things to do in Liverpool at any time is to take a ride on the Mersey Ferry. Shockingly enough, there are even some residents in Liverpool who have yet to sail the Mersey on board a floating piece of Liverpool’s history! Even the Queen and the Beatles have had a go. Take the full round trip or hop on and off to discover the Wirral. 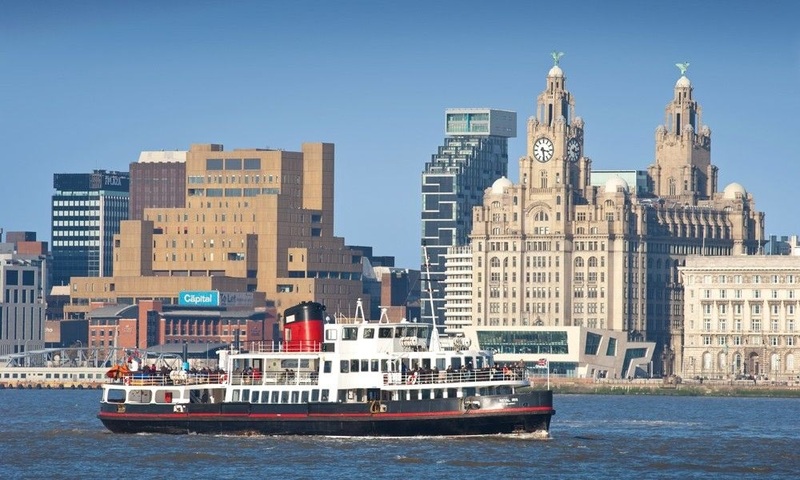 Either way, you’re guaranteed a one of a kind view of the UNESCO World Heritage Waterfront whilst also becoming part of the Mersey Ferry’s long legacy. The iconic skyline of Liverpool is unmistakable. 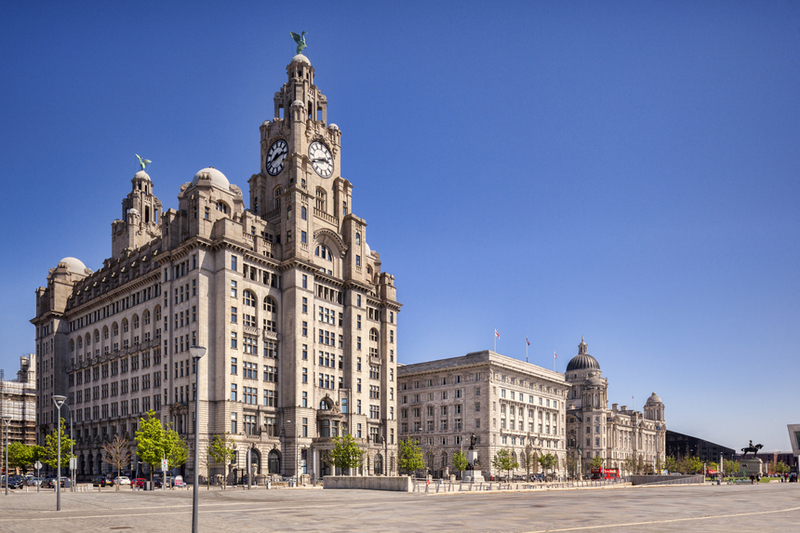 The three graces have welcomed sailors home and visitors into the city by river since 1916, when the Cunard building was finally completed. Now, this stunning area is preserved and protected by the UNESCO organisation as a place of beauty but also to educate future generations about Liverpool’s rich heritage. Discover the breathtaking architecture, museums and art galleries that line Pier Head during your visit to Liverpool in 2019. Spotting the distinctive UFO shaped silhouette of St Johns Beacon on the horizon after being away from home warms the heart of many a Scouser. In 1969, diners could enjoy a meal of fine French cuisine from the comfort of a gently revolving restaurant 450 metres up from the ground! Today, though, visitors can climb up the tower and enjoy unrivalled views of Liverpool from the viewing platform. One of the most exciting things to do in Liverpool if you have a head for heights. It’s not easy to come across a city with more than one Cathedral – and even less so to find both within a five-minute walk from each other. Both of Liverpool’s Cathedrals are a sight to behold. The Anglican Cathedral is one of the biggest churches in the world, with a massive collection of ancient tapestries and fabulous stained glass windows. You could even climb the tower to check out the stunning city-wide views and abseil back down it on occasion. 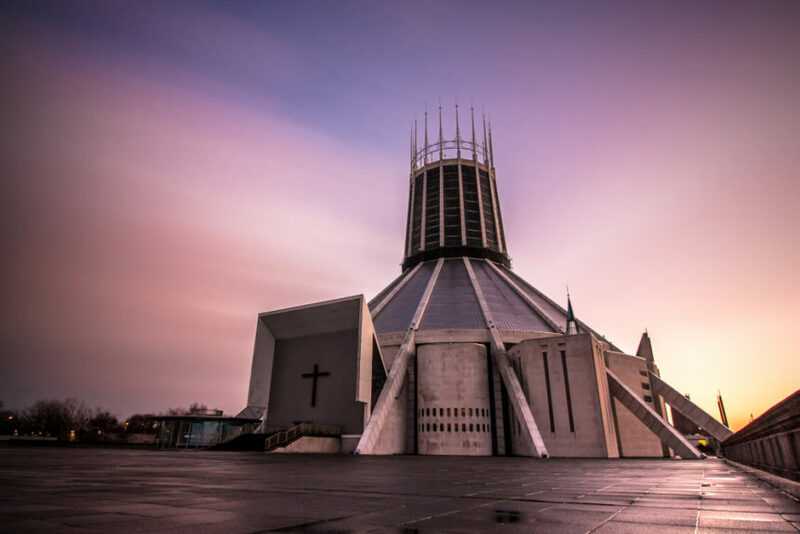 The Metropolitan Cathedral is another architectural marvel with its unconventional shape earning the title “Paddy’s Wig-Wam.” You’ll have to see it to believe it. 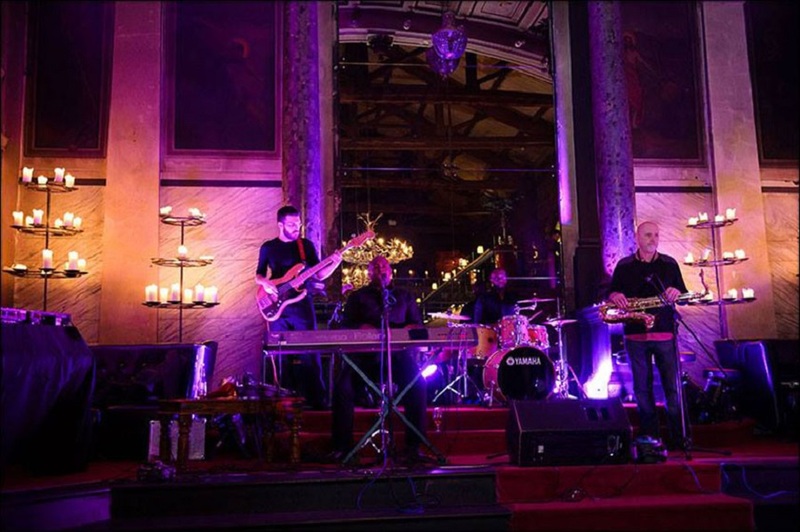 Soak up the sounds of soothing jazz in any of the stylish Liverpool jazz venues dotted all around the city. Take advantage of our all-access guide to the best jazz bars in town to be sure your experience of jazz in Liverpool is unforgettable. From jazz to opera, the Liverpool Philharmonic is a world-renowned music venue with sweet acoustics and a rich and interesting past. 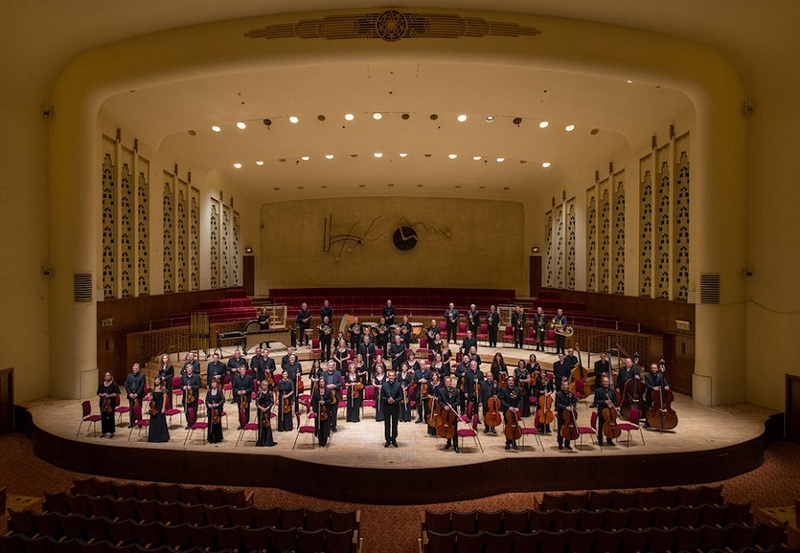 Throughout 2019 the calendar at Liverpool Philharmonic is packed with showstopping classical performances and one-off movie screenings backed by none other than the world class Liverpool Philharmonic Opera. Visit the city’s most acclaimed musical landmark to enjoy one of the many fun things to do in Liverpool. There’s certainly no shortage of cultural things to do in Liverpool, with over ten established museums to visit and another ten art galleries. You could explore Liverpool, its past and present and then the rest of the world within one trip. Dedicate your time to the maritime history of Liverpool at the Merseyside Maritime Museum or visit Victoria Gallery to marvel at the artwork on display. There’s also the weird and wonderful science wing if that’s more your thing. Now in its 27th year, Africa Oyé is an integral part of Liverpool’s multicultural landscape, inviting visitors and residents to explore everything that makes African culture what it is. 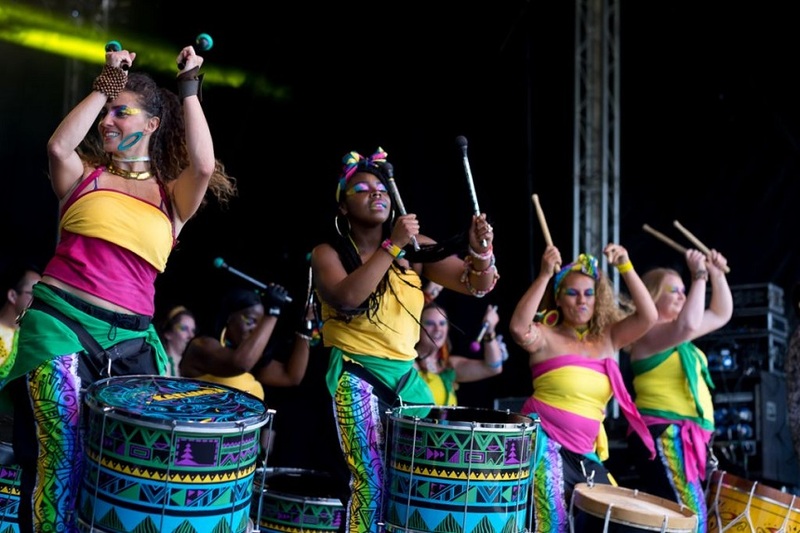 In true celebratory style, thousands of people gather together in Liverpool’s Sefton Park to enjoy performances of authentic African and Caribbean music, taste some Caribbean cuisine and check out artwork from one of the most beautifully vibrant parts of the world. See the city at its best; bathed in light and glittering with art installations in honour of Light Night 2019. For one night only the city becomes a blank canvas for artists with local talented acts, performances and installations all free to view for the public. The entire festival celebrates everything that is art and culture in Liverpool, giving people access to the cities best cultural spaces until late in the evening. Taking place on May 17th, Light Night is one of the best free things to do in Liverpool in 2019. Did you know that Liverpool has a truly haunting past, thanks in large part to the bustling ports of times gone by? Explore the darker side of the city with an expert guide and learn all about Liverpool’s bewitching heritage. 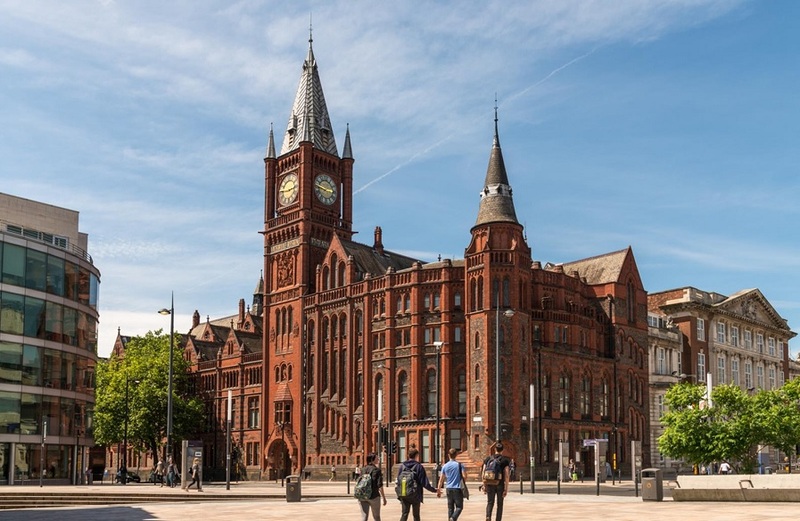 Shiverpool tours operate round the clock once the sun goes down, and tours areas, old homes and landmarks rumoured to have ghostly connections to the past. 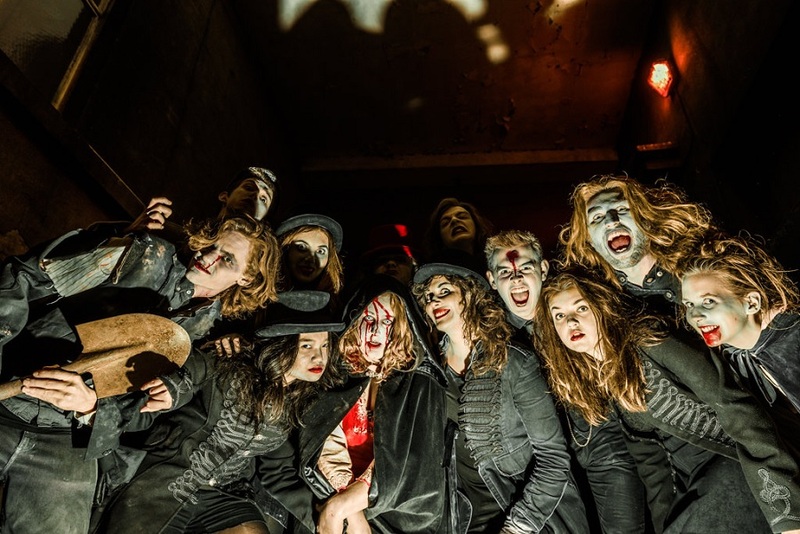 Take a Shiverpool tour on your next visit to Liverpool, they’re frightfully entertaining! Check out an exciting ancient piece of Liverpool’s history down in the Williamson Tunnels, one of the more adventurous things to do in Liverpool during 2019. The tunnels were discovered in 1995 and have been undergoing excavation since then, with volunteer diggers finding more and more hidden channels the deeper they go. Under the streets of Liverpool, this hidden city was found to be the work of a local philanthropist Joseph Williamson, and various theories as to why they were built have been suggested. Pay a visit and make your own mind up on why a labyrinth of connected tunnels was built under the streets of Liverpool by a local lord! For those evenings when all you want is cake and nothing but cake, call in the big guns at Midnight Delivery. These guys don’t just have cake on offer, but cookie sandwiches, brownies, waffles and doughnuts too. Everything is sticky sweet and so bad for you that its oh so good. Call in your Midnight Delivery to satisfy those late night sweet-toothed munchies! And that’s it for our bucket list of fun things to do, eat and drink in Liverpool. There’s always plenty to keep anyone entertained in the city and our essential Liverpool bucket list covers it all.